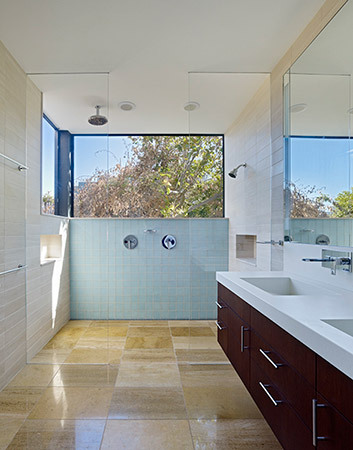 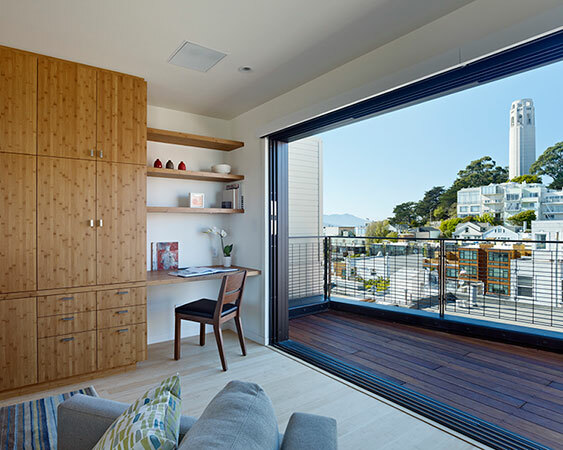 The design challenge for this mid-block, Telegraph Hill row house was to add a rooftop addition and increase natural light. 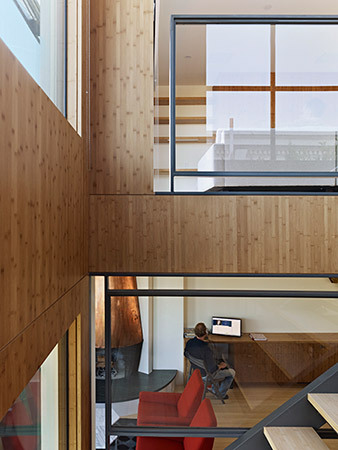 We accomplished this by placing a three-story glass wall and open stair at the center of the house to spread light throughout and connect the living spaces from top to bottom in a way that felt open and inviting. 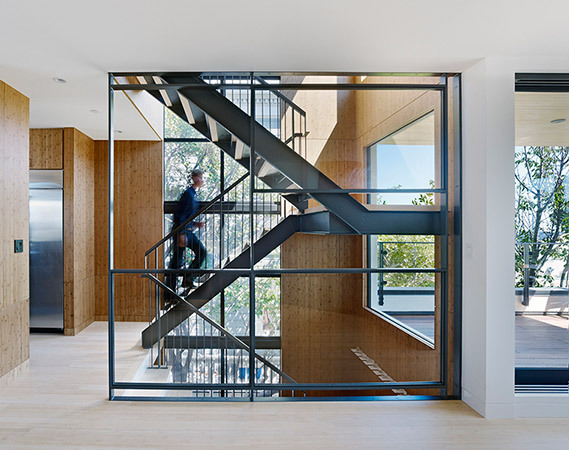 Our abundant use of windows and glass allow for natural day lighting, and the open stair is leveraged to create passive, stack-effect cooling and ventilation. 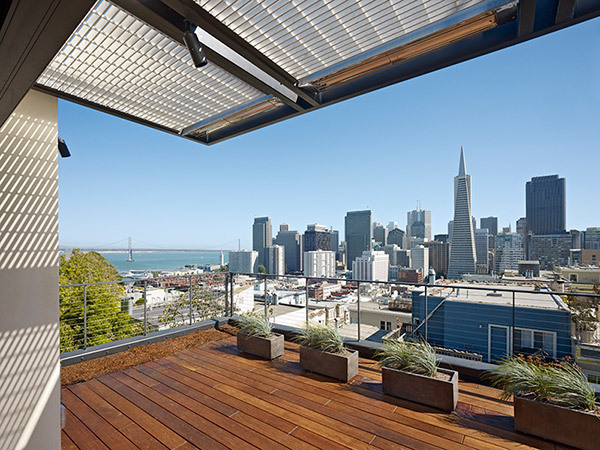 To further contribute to the sustainability of this project, we installed rooftop photovoltaic panels, increased the insulation of the envelope, and employed materials that are rapidly renewable, low in VOC’s, and high in recycled content. 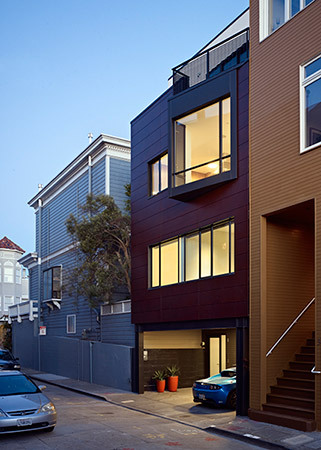 Our design for the street facade reconsiders the building’s existing fenestration to create a better-proportioned exterior that respects the scale and context of traditional San Francisco townhouses while reinterpreting it through a contemporary idiom. 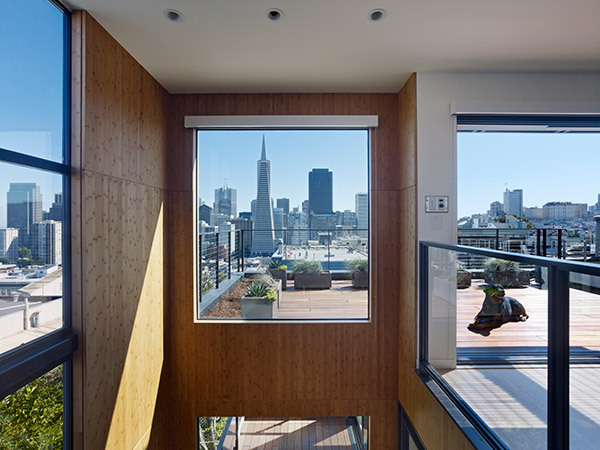 The facade steps back at the roof addition to echo the height of neighboring residences (one of which was designed by our firm), and a new, angled bay window orients the interior towards a view of the Golden Gate Bridge.